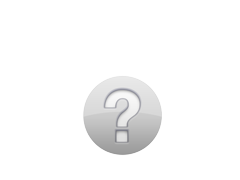 Because Apple designs the computer, the operating system, and many applications, Mac is a truly integrated system. And only the AppleCare Protection Plan gives you one-stop service and support from Apple experts, so most issues can be resolved in a single call. Buy AppleCare Protection Plan for MacBook now. Buy AppleCare Protection Plan for MacBook Air now. Buy AppleCare Protection Plan for 13" MacBook Pro and 13" MacBook Pro with Retina display now. Buy AppleCare Protection Plan for 15" MacBook Pro and 15" MacBook Pro with Retina display now. 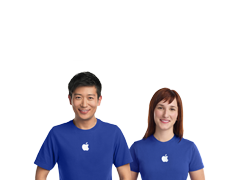 Buy AppleCare Protection Plan for Mac mini now. Buy AppleCare Protection Plan for iMac now. Buy AppleCare Protection Plan for Mac Pro now. Buy AppleCare Protection Plan for iMac Pro now. Service coverage is available only for Mac and its original included accessories for protection against (i) defects in materials or workmanship and (ii) batteries that retain less than 80% of their original capacity. AirPort must be purchased up to two years before your Mac purchase or during the term of your AppleCare Protection Plan coverage. 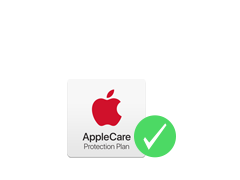 AppleCare Protection Plan benefits are in addition to any legal rights provided by consumer protection laws in your jurisdiction. For complete details, see terms at www.apple.com/legal/sales‑support/applecare/appgeos.html.